Amazing tool. 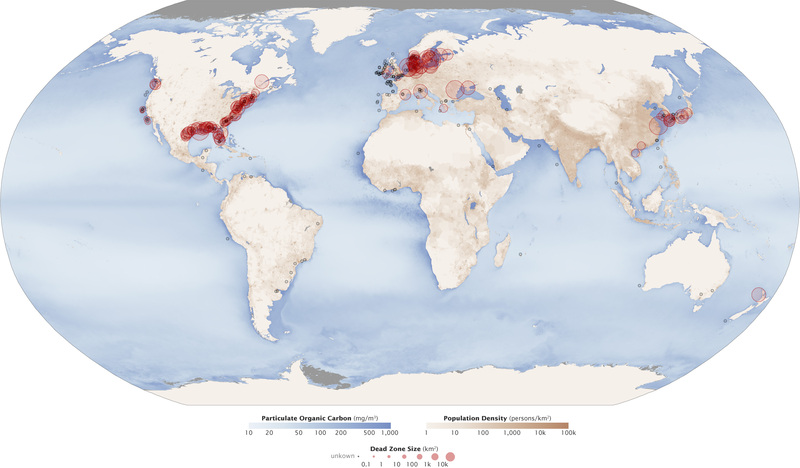 Are the land based black dots based on observed dead zones in lakes? The paper is all about coastal hypoxia, so they should be coastal areas. I think the graphic just looks like they are on land. I suggest looking at the Diaz paper.